Integrity is not a sound bite. It is your expression of truth. This book invites every individual on a journey to this truth. It will be an interesting ride – not to a destination, but to a richer state of being. Integrity is whole, entire, undiminished and connected – integrated you might say, inside and out. In our world of rapid change and disruption, this invitation arrives for such a time as this. We are in slow motion compared to where we are headed. The one essential thing is more valuable than ever. It will forever change how you think of ROI. It is a return worth investing in. Watch the 2-minute trailer for this new release below! 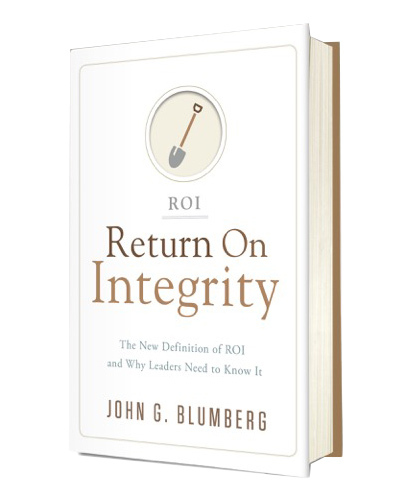 In Return on Integrity: The New Definition of ROI and Why Leaders Need to Know It, author John G. Blumberg asks CEOs and top leadership to dig deep, to find the core values they live by, and in turn to engage an impactful set of core values for the organization they lead. These values are not just a guide; they should be the basis of every decision and action in the organization. 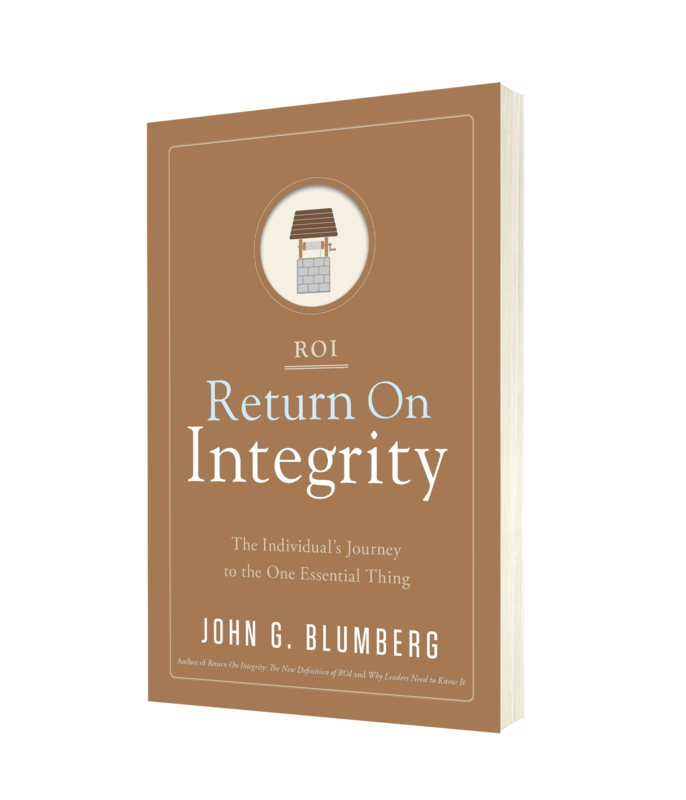 The new ROI is the value built at the intersection of personal and organizational core values—creating a stronger organization built on a stronger base—while establishing the meaningful return CEOs and their leadership ambassadors experience by living and leading with integrity. Core values have been touched upon in countless books over the last decade, but none has taken the search as deep or has focused on the intersection of leaders’ personal values and those of their organization. At this intersection, Return on Integrity reveals the most untapped and impactful strategic resource available to any top leader. Through in-depth introspection and continual renewal, you can lead your organization beyond profit to a bottom-line that is filled with truth and richness. It’s time to pick up your shovel.